With his Ming the Merciless collar and his mercilessly minging face, Peter Siddle barrelled in and dismissed Alastair Cook, Matt Prior and Stuart Broad in successive balls. We got through the experience by pretending it was a cartoon. Siddle looks like a cartoon character somehow. The big ugly mug was unlucky not to have 7. Also, Bell continues to score runs. KC how many runs do you think he has left in him this tour? Good night, all. A more interesting day’s cricket than any 20-20 ever played. All in all, a good day for England. In 2005 Australia won the first test. In 2009 they dominated the first test, only failing to win due to the batting skills of Monty Panesar. All winning the first test does is lull them into a false sense of security. Anderson is often accused of being a conditions bowler. But it would seem that to play well Peter Siddle needs good overhead conditions, a seaming pitch, AND for it to be his birthday. Siddle has now had the best day of his test career, and can only disappoint from here on in. By the third test he’ll be mentally shot as he begins to understand this. Mitchell Johnson has continued his recent form. Xavier Doherty picked up sufficient pointless wickets to ensure he’ll get picked for the rest of the series. The English batsmen who failed are all the ones who are in form anyway, so are therefore certain to come good in the second innings, second test, third test, etc. Meanwhile, the out-of-form Englishmen (Cook and Pietersen) played their way back into form. This now looks like a formidable batting line up with no gaps. I got drunk on awful spirits, the cat licked my face with his rough tongue and I found an old duvet (Summer weight) to watch the test in, and yet we still underperformed. Venn of the year, Ceci, great stuff. 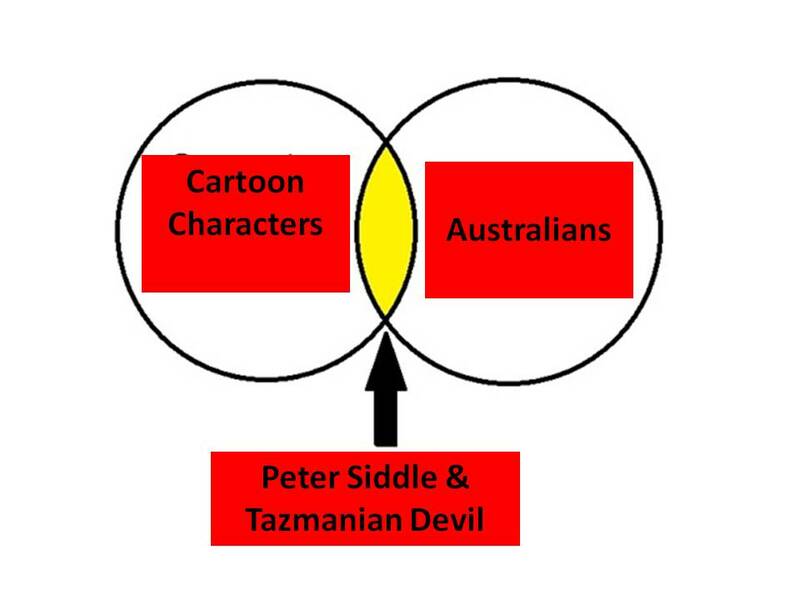 For someone who claims not to know what a Venn is, you seem to have got the hang of it remarkably quickly. …Venn will we see you again?